Il Poggione is one of the stars of Brunello di Montalcino, perfectly combining lovely modern-style fruit with freshness and verve. Lovely and fleshy on the nose with that quintessential, tell-tale Sangiovese meatiness, underpinned with notes of redcurrants. Supple and fleshy on the palate too, spicy red and black fruit notes, mouth-watering acidity and fine, well-integrated tannins. Very good and tempting to drink now, but it will repay a few years in the cellar with more harmony and roundness. Drink 2018-2023. Bright and ripe classic Sangiovese notes on the nose of red and black fruit vying for attention, with a certain meaty nuance in the background. Lots of fine red fruit on the palate, tempered by crisp acidity and fine, ripe tannins, all in balance with a pleasing mouth-feel and satisfyingly complete finish. This is hard to resist now, but will become even more harmonious if cellared for another four to six years. 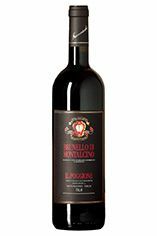 The 2004 Brunello di Montalcino Riserva Vigna Paganelli emerges from the glass with masses of scorched earth, leather, tar, licorice, menthol and dark fruit. The Riserva shows a touch more inner sweetness, richness and depth in its fruit than the regular bottling, plus a bit more French oak as well. For now, the Riserva is quite reticent and requires air, but with time its awesome richness and power come through in spades. This dark, brooding and authoritative Riserva from Il Poggione is simply gorgeous. Readers who don’t want to pay the premium for the Riserva in 2004 need not worry; I tasted the 2004 regular bottling (twice!) while preparing this article and it is every bit as promising as my review last year suggested. 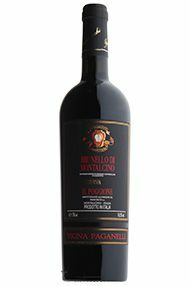 In 2004 the Paganelli vineyard was harvested on the 13th of October, quite late for this estate. Father and son team Fabrizio and Alessandro Bindocci are on a roll. Il Poggione remains a benchmark property for fine, traditionally made Brunellos capable of ageing exquisitely. I can’t think of too many properties in the world producing wines of this level at these prices with an established track record going back 40+ years. I tasted an extraordinary range of wines at the estate in January 2010, including all of the Brunellos and Riservas in cask from vintages 2005-2009. 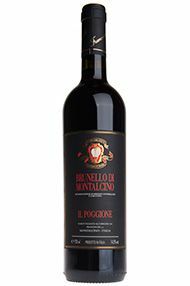 Il Poggione is one of the stars of Brunello, despite this it is always incredibly reasonably priced. Every year we sell through our allocation quickly and 2010 I think it is a case of blink and you will miss it! 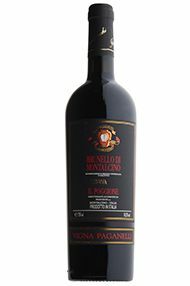 Il Poggione is a wine that reflects the more modern end of the styles in Brunello, it always has rich, lush fruit and in 2010 it is perfectly held in check by a cool freshness. Alongside the lovely cherry fruit, there are floral characters and toasted spice a wine with a sensual character. Lightish crimson. Very flattering on the nose. Rich and aromatic, with a hint of black fruits. Firm on the palate. This should have a good future. Long. Il Poggione have done it yet again with a wine of such great quality at such a great price point. Yet another vintage that confirms this wines quality and status as one of the best in Montalcino. The wine has a glossy appearance in the glass, almost opaque. The 2013 has a more svelte quality than maybe the likes of the dark and powerful 2011 – this is a wine full of cherry, cranberry, red fruit on the nose with hints of thyme, coffee/mocha notes. Complex and enticing. The palate is medium bodied, the acidity is crisp and cooling almost hiding the true depths of the fruit beneath. Tannins beautifully integrated with a pepper , anise like length. Very high quality. Resist the temptation to drink early, look at tucking in 2023 – 2030. The nose is surprisingly opulent and weighty, verging on the exotic even. The palate is succulent, not overly full bodied by any means – there is an intrinsic sense of balance here. Going back to the glass this is remarkably drinkable such is the balance and poise. The volume and weight of fruit is remarkable – plump, overt and fabulously moreish! Ideally try to give this 2 or 3 years in the cellar, but if not a quick decant will sufice! Now to late 2020s. The 2008 Brunello di Montalcino is one of the best wines of the year. A relatively big, voluptuous wine for the year, the 2008 impresses for its inner perfume, silky tannins and terrific overall balance. Hints of leather, tobacco and dried herbs add complexity. The 2008 isn’t immediately showy, as so many recent vintages have been; instead, it is a wine built for the cellar. Still, with time in the glass, the wine’s exquisite perfume begins to emerge. In 2008, Il Poggione did not bottle a Riserva, all the juice went into the regular bottling. 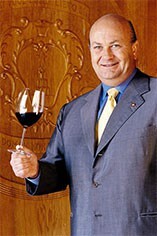 Brunello di Montalcino is highly vintage dependent in the market, especially in the United States. Most people won’t look at this wine because of the vintage. Let others make that mistake. The 2007 Brunello di Montalcino Riserva is a huge wine bursting with fruit. Powerful tannins provide the backdrop as the 2007 shows off its dazzling power and density. Rarely have sensuality and structure been so evident in a young Brunello. The 2007 is going to require considerable patience but it is a stunning wine. The long, explosive finish is utterly captivating.